Lately, I’ve been doing a lot of singing, which makes me happy. The All-California Sacred Harp Convention was January 18-19. I keep mentioning Sacred Harp and shape note without explaining what they are for those who might not know, so…shape note singing is a tradition of communal a cappella hymn singing in four-part harmony. Singers sit in a hollow square and take turns leading songs, beating time from the center of the square. The term “shape note” refers to the musical notation, in which noteheads have one of four shapes (there are also seven shape systems). 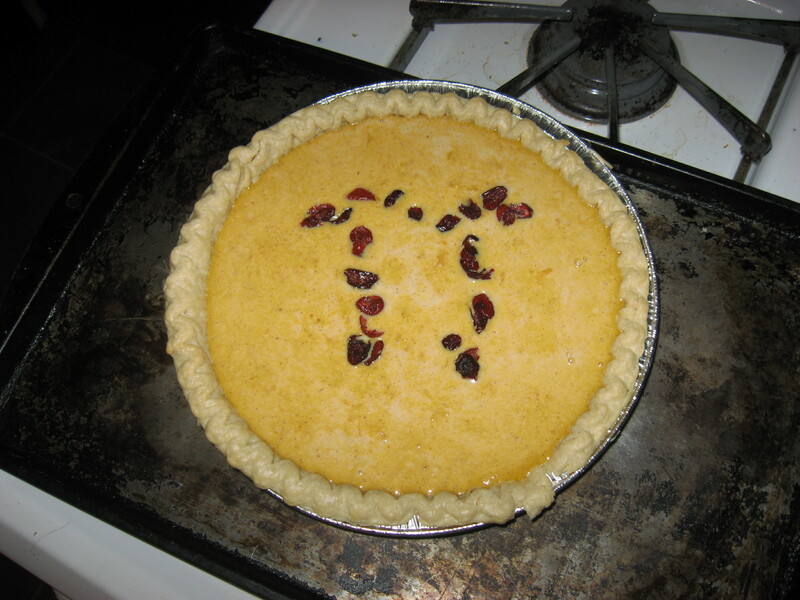 The tradition has its roots in New England, later flourished in the American South, and is now active throughout the United States as well as abroad. The Sacred Harp is a particular book of shape note tunes. Anyway, this year’s All-California was my fourth Sacred Harp convention; in 2012, I went to the Keystone Convention in Bethlehem, PA, the Young People’s Singing in Minneapolis, and the Minnesota Convention, also in Minneapolis. I know a lot of Pennsylvania/East Coast singers and Minnesota singers, and this was an opportunity to meet more LA/California/West Coast singers. The convention was held at a former military site turned cultural center on a hill overlooking the Pacific. We sang in a building that used to serve as officers’ quarters or something like that, but with its lovely porch it actually reminded me more of a Quaker meetinghouse. During the breaks between singing sessions, I would go out and bask in the sunshine or stand in the shade of a eucalyptus taking in the view of the ocean and the luminous Catalina Island. It was really idyllic. It was too beautiful not to have lunch outside, and since there wasn’t a lot of picnic table seating, my friends and I ate the traditional potluck “dinner on the grounds” literally on the ground. There was also this group of young men from Santa Cruz who came to the singing and who, during the midday breaks, brought out fiddles and banjo and string bass and played old-time music on the hilltop. It was unexpected but delightful. And the singing itself was great. At conventions, you have to try to pace yourself. Shape note singing is traditionally loud, robust, and full-voiced, and after a certain number of hours singing in this manner, your voice starts to go. I try to drink a lot of water and maybe sing more gently on songs I like less, but it’s hard not to sing with all your might when so many good tunes are being led and the sound around you is so big. A couple of weeks ago, I noticed a blue flyer taped to the door of the Phonetics Lab announcing the first meeting of the Kartvelian Chorus. “Want to sing in Georgian?” it asked. “How about in Svan?” The first rehearsal was to be held in the linguistics conference room. Come Friday, I went. The teacher turns out to be a lecturer in the department, an Indian-American woman who’s studied with song masters in Georgia. The UCLA linguistics department has a definite musical streak, and the people who came were more or less those whom I’d expected. The teacher handed out lyrics sheets and started teaching us songs by ear. We’ve now had two rehearsals, and I love it. It’s fun learning songs in a different language with linguists because we’ll stop now and then to ask if such and such sound is velar or uvular. Georgian is notorious for its difficult (for English speakers) consonant clusters, like the one at the beginning of the word mk’vdretit. Also, Georgian has ejectives, a particular kind of sound that can be hard for native English speakers to produce and which I find especially hard to produce while singing. I think this means Kartvelian Chorus counts as practice for my upcoming practical phonetics exam. As I mentioned last week, I attended the Linguistic Society of America’s annual meeting at the beginning of January. One of the talks I was particularly looking forward to was the plenary address by Susan Goldin-Meadow, a professor of psychology at the University of Chicago and a pioneer in the field of gesture studies. Her speech was entitled “From homesign to sign language: Creating language in the manual modality.” The reason I was so interested in this talk is because Susan Goldin-Meadow actually had an indirect influence on Sparkers. In the book, Marah’s younger brother Caleb is deaf. His deafness has been one of the few points of intersection of my writing and my study of linguistics, and it’s certainly the one that has preoccupied me the most. The summer after my sophomore year of college, I worked for a University of Minnesota professor who was studying the gestures preschoolers make as they talk in the context of make-believe play. My job was to watch videos of preschoolers over and over and transcribe and categorize their gestures. I also began a literature review, which is how I first came across Goldin-Meadow’s work. 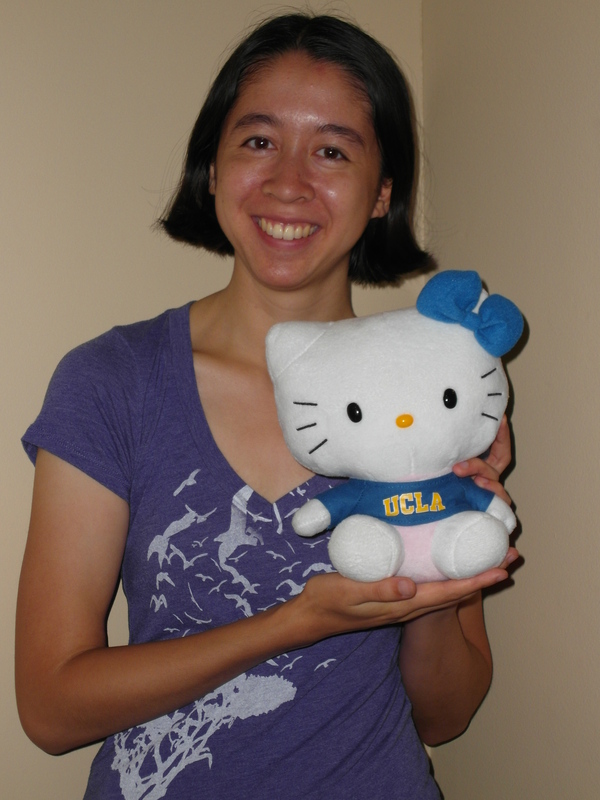 Goldin-Meadow has two main research interests: co-speech gesture and homesign. It was the former that was relevant to my summer research, but the latter also piqued my interest. Homesign is “the gestural communication system developed by a deaf child who lacks input from a language model in the family. This is a common experience for deaf children with hearing parents who are isolated from a sign language community” (thank you, Wikipedia). I don’t remember having an “aha!” moment, but that must have been the first time I had the vocabulary to describe how Caleb talked to his mother and sister. He was using homesign, but I had never known to call it that, nor had I thought much about its linguistic or non-linguistic properties. In her speech in January, Goldin-Meadow demonstrated that homesign is more language-like than gesture (that is, what hearing people use when they talk) but is not full-fledged sign language. Though of course I learned a lot of new things from her talk, the core distinctions between gesture, homesign, and sign language were the ones I remembered from before, the ones which had been shaping how I thought about Caleb and his ways of communicating for years. Some background information: Caleb is the only deaf member of his family, and he has never interacted with other deaf people. He and his family communicate using a system of signs. In Sparkers, he’s ten years old. Although he doesn’t go to school, he’s very precocious and enjoys reading his fourteen-year-old sister’s school books. Early last year, while visiting grad schools, I met several linguistics students and professors who were doing research on sign languages and language acquisition and reading ability in deaf children. This was during a time when I felt like linguistics and writing were pulling me in different directions, so I actually appreciated that these visits were drawing the two together by making me think hard about Caleb. But they also made me wonder just how well or badly I had written this deaf character, who was now an inextricable part of a novel that was about to be sold. Attending Susan Goldin-Meadow’s plenary address three weeks ago brought all these old wonderings back, as well as sparking some new ones. I’m not finished thinking about Caleb, so I don’t really have an ending to this post, except to say that I’m grateful for the occasional convergence of my linguistics and writing lives. The presenter, a novelist, discussed the origins of some of his own characters’ names and shared responses to a survey he had sent out to other authors (of literary fiction, mostly) about how they named their characters. The responses were fairly mundane, but I was struck by a remark one author made. He said that if you have a clear idea of your character’s personality, the name shouldn’t matter. The name shouldn’t have to fit the character, necessarily, because after all he knows lots of people whose names don’t fit them. I found this interesting for two reasons: 1) I think there’s an assumption that authors try to choose names that suit their characters in some way, whether by their sound or their meaning or their historical or intertextual echoes, and this author seems to discount the importance of character naming; and 2) He almost seems to suggest that authors sometimes use a character’s name as a crutch, a substitute for adequate characterization, and that they shouldn’t do this. Maybe I’m reading too much into his comment, but there’s plenty to ponder there. I still think a lot of authors do choose their characters’ names carefully and with certain intentions. Perhaps an extreme (but wonderful!) example is Lemony Snicket. The names of the characters in A Series of Unfortunate Events are a carnival of literary allusions (one of the reasons I think this series is extraordinarily sophisticated and meant for readers of all ages). The more well-read you are, the more nods to literature you will pick up on, and I think this is appropriate given the value attached to being well-read in the series itself. I remember the moment I realized a character in The Hostile Hospital was named after the narrator of Albert Camus’s La Peste (The Plague–appropriate, right?). As for my own character naming practices, since I mostly write fantasy, I usually either invent proper names (while striving to keep the names in a given world linguistically coherent) or choose a language/culture to draw proper names from. In Sparkers, most people from Ashara have names of Hebrew origin while people from Xana, a country across the sea, have names of Arabic origin. (I’m not sure I would make the same choice today, but it’s too late now.) Of course, Ashara and Xana themselves are made up. I generally choose names by figuring out what sounds good or right to me. I consider the meaning of a character’s name, but it doesn’t necessarily have to have a clear connection to the character’s personality or role or actions. I just like to know what it is, and if it adds something subtle to the totality of who the character is, so much the better. That said, my main character Marah’s name means “bitter,” and this was a meaning I wanted. Marah started out a bitterer character than she is now, her bitterness having been tempered over years of revision. But the name of the other main character, Azariah, means something like “God has helped,” and I don’t mean this to have anything to do with who he is. I just liked the name. In the Bible, Gideon is an Israelite hero who here asks his firstborn son to kill two enemy kings who have killed Gideon’s brothers. I transposed this episode into an alternate 19th c. America and into the context of a violent family feud. The biblical text supplied the bare bones of my plot, but in my story, the father who commands his son to shoot two men from the rival family in vengeance is not a sympathetic figure. I kept the name Gideon for him to preserve the link to the Judges text and because the name fit well in the new setting. I abandoned the name Jether because I don’t like it and it’s too unfamiliar. Instead, I named the son Absalom. I chose this name for several reasons. Most trivially, it has the Swedish form Axel. My alternate 19th c. America was peopled by immigrants of English and Swedish origin, and I liked that Absalom could be nicknamed Axel. According to some sources (alas, I don’t know Hebrew), Absalom means “my father is peace,” and I liked the irony of this. Finally, I liked the reverberations of the name given the story of the biblical Absalom, the son of King David. Absalom rebels against his father, which in a way my character does too. But when Absalom is killed by David’s own men, David says, “[W]ould God I had died for thee, O Absalom, my son, my son!” (II Samuel 18:33). Despite everything, David still loves his son Absalom in a way that my character Gideon does not love his son Absalom. However, the anguish my Absalom feels over the ultimate deaths of the men his father tries to make him kill echoes King David’s. The parallels are imperfect, but what interests me is the stirrings of connection. Incidentally, in Sparkers, Marah’s father is also named Avshalom. I’ve never taken stock of the books I’ve read in a calendar year before, but I was inspired to do so recently by other people posting about their 2013 in reading. While I don’t keep a list of the books I read, I almost always mention what book I’m currently reading in my journal, so I was able to figure out what books I read last year by skimming my 2013 journals. It’s possible (but, I think, unlikely) that I read a book without recording its title in my journal, and it’s also possible I skimmed the journals too fast and missed a book, but I think this list is pretty accurate. Apparently I read 119 books in 2013. My guess is that this is an unusually high annual total for me in recent years. I suspect 2012 was also unusually high. This is because one has more time to read for pleasure as a volunteer than as a student (especially when one is a volunteer with an almost two-hour round trip bus commute every day). The vast majority of the books I read were borrowed from the library, so I hereby express my appreciation for the Rondo Community Outreach Library, the Edina and Southdale Libraries, and the Westwood Branch Library. You might notice I read (and, in particular, reread) quite a few series in 2013. Mostly this happened because I would notice all the books in a given series were available to be checked out at once at the library, so I would get them all in order to read them all in a row. And in the case of series I already loved and felt tempted to reread, I would think to myself, If not now, when? *I limited myself to books I read for the first time in 2013 because it is generally, though not universally, true that the books I reread are already among my favorites (that’s why I reread them). However, if this list were open to books/series I had read before, it would have to include The Pagan Quartet (Catherine Jinks), A Northern Light, Seraphina, The Raven Boys, and The Queen’s Thief (Megan Whalen Turner). Best wishes for a fantastic and fulfilling 2014! 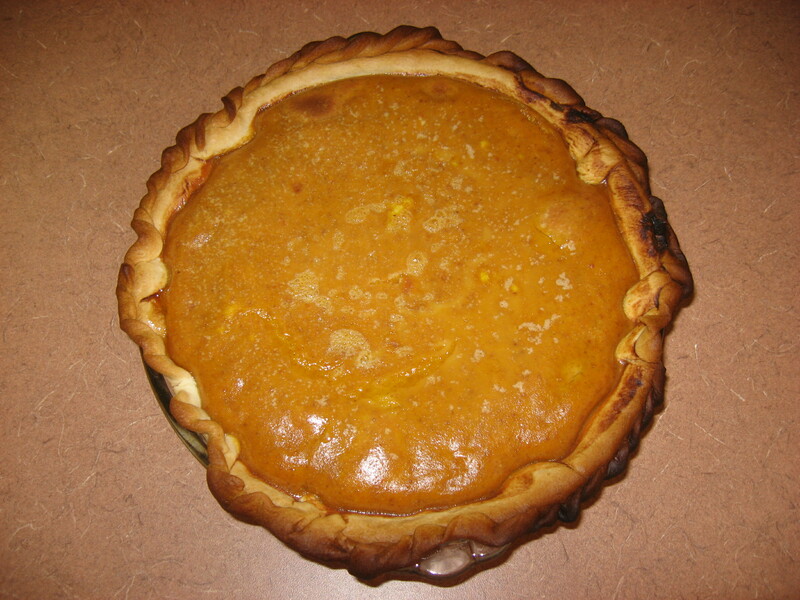 In January, I baked a galette des rois for Epiphany, visited UC Santa Barbara, and went to the St. Paul Winter Carnival, where my hopes of seeing an ice palace were dashed. 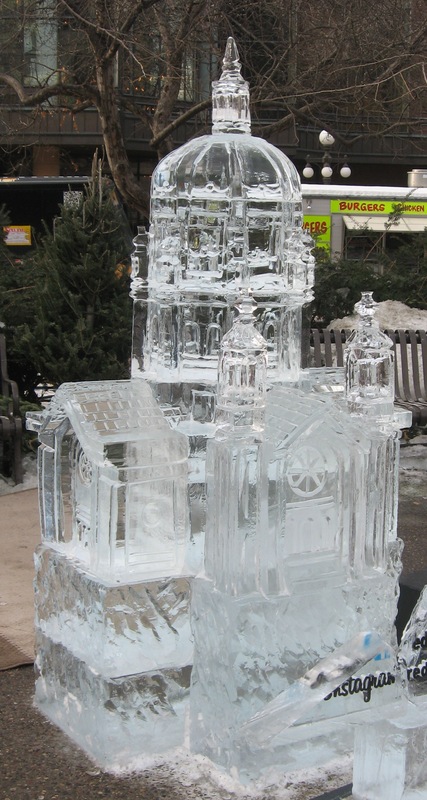 No ice palace, alas, so this ice sculpture of the St. Paul Cathedral had to do. 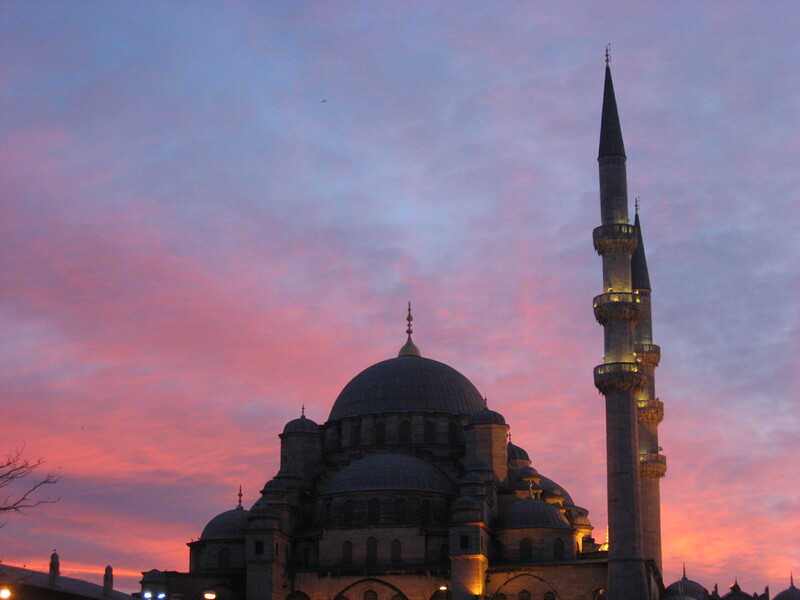 In February, I spent a week in Istanbul with my family. 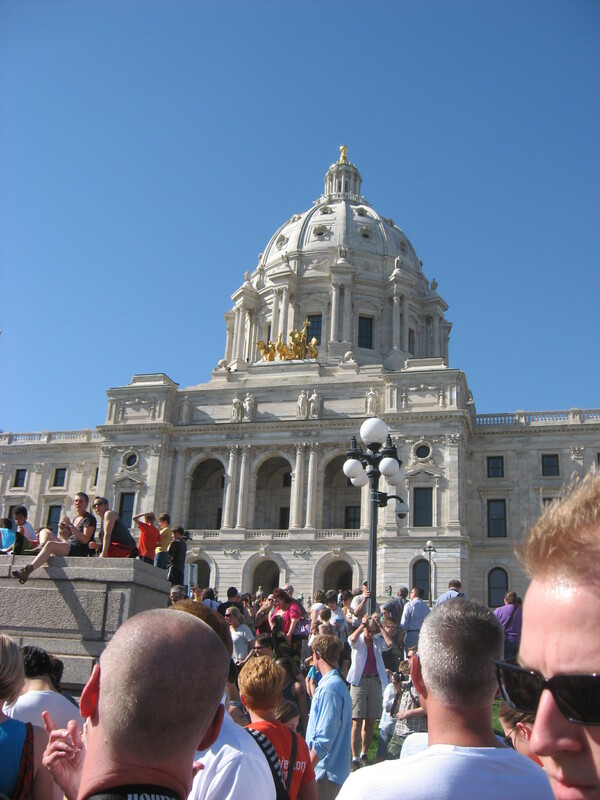 Later in the month, my organization held its annual Day on the Hill at the Minnesota State Capitol, from whence I went straight to the airport to catch a flight to Tucson and the University of Arizona. Also: crêpes for Mardi Gras. In March, I returned from a visit to UC San Diego just in time to attend my first Playford Ball. I also went to open houses at Stanford, UC Santa Cruz, and UCLA. So much flying. 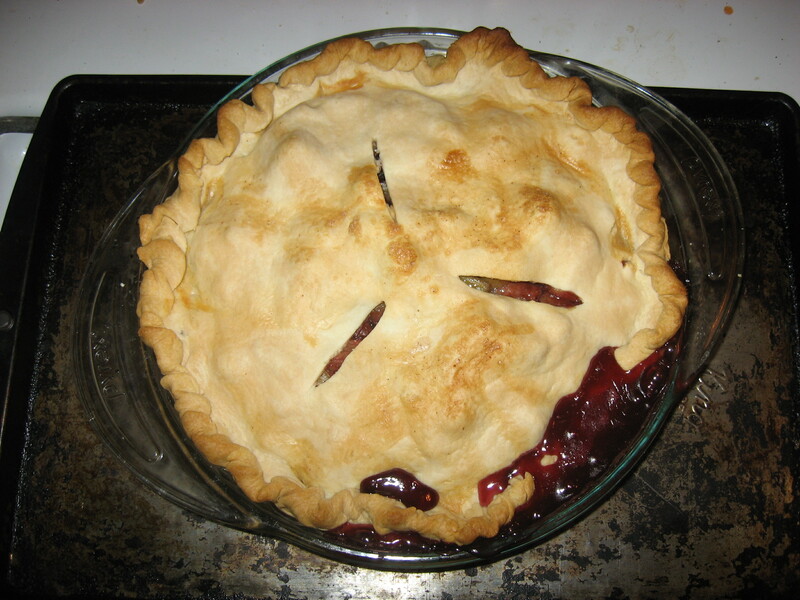 Oh, and I baked a pie for Pi Day. In April, I went to a singing workshop given by the Georgian ensemble Zedashe and attended a Tim Eriksen concert. I decided on UCLA for grad school and traveled up to the Iron Range for the first time on a work-related trip. 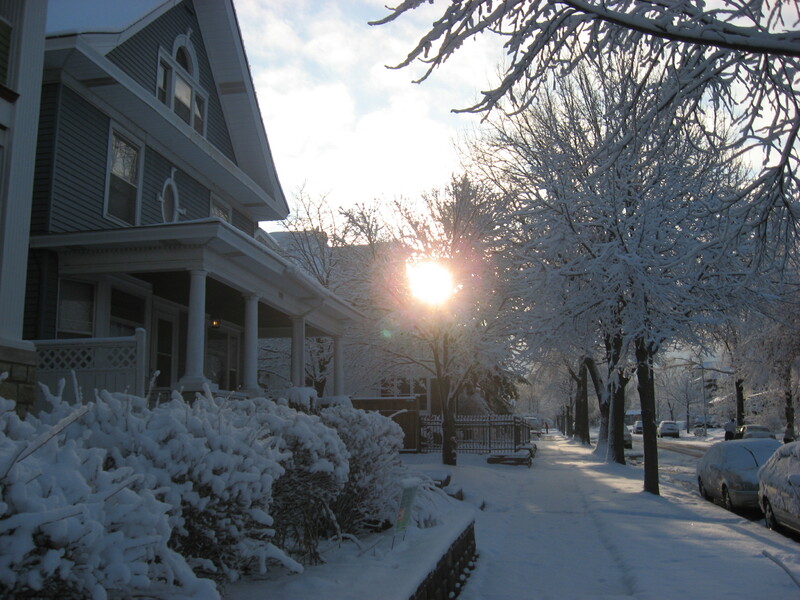 It snowed endlessly in Minnesota. Sparkers went on submission on April 30th. I spent most of May on submission. I celebrated May Day in Powderhorn Park. On May 14th, I watched Gov. Dayton sign Minnesota’s marriage equality bill into law on the Capitol steps and then went out for ice cream with my housemates at Izzy’s, where we encountered Morris dancers! And then Sparkers sold at the end of the month! May was pretty great. 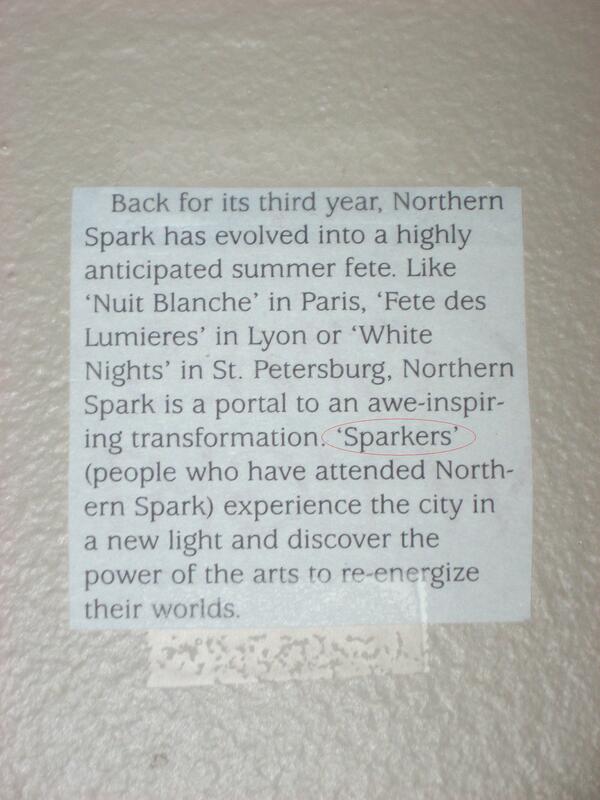 In June, I went to the all-night arts festival Northern Spark at the St. Paul Union Depot, where I watched a replica house burn down at 2 a.m. 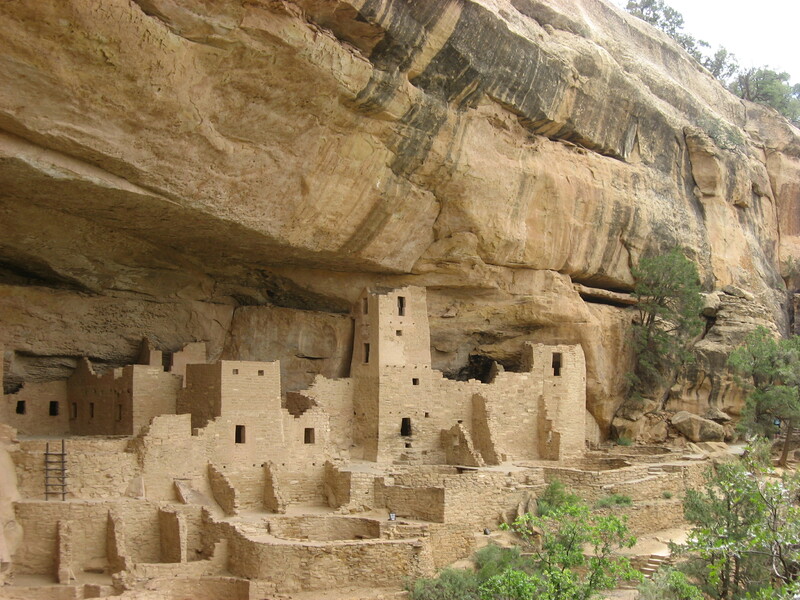 In August, I brushed up on my phonology and syntax and road tripped to California with my family, stopping at Mesa Verde and the Grand Canyon on the way. In September, I moved into my new apartment in Los Angeles and promptly became a hermit while I worked on Sparkers line edits. I finished just in time to start grad school at UCLA. 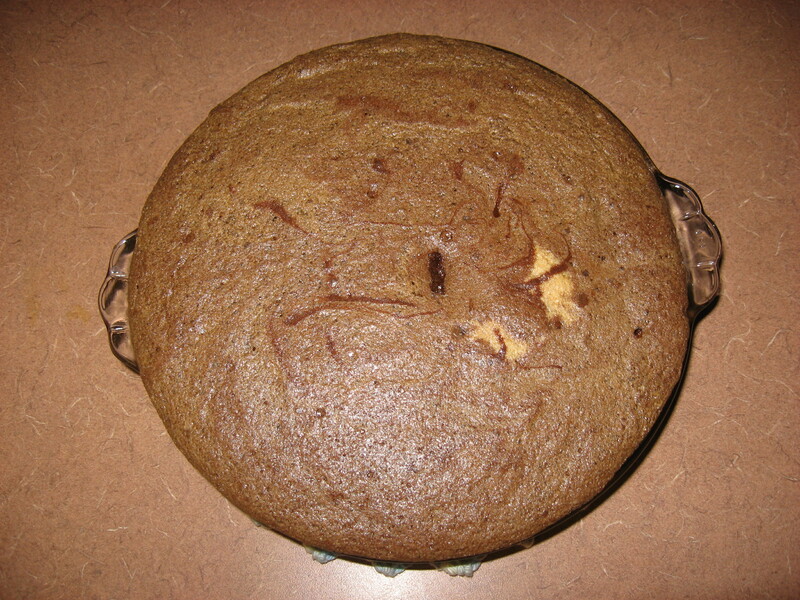 In November, I started this blog and had a joint birthday party with two other first-years in my program. The day after Thanksgiving, I attended my first high school reunion in Minneapolis. 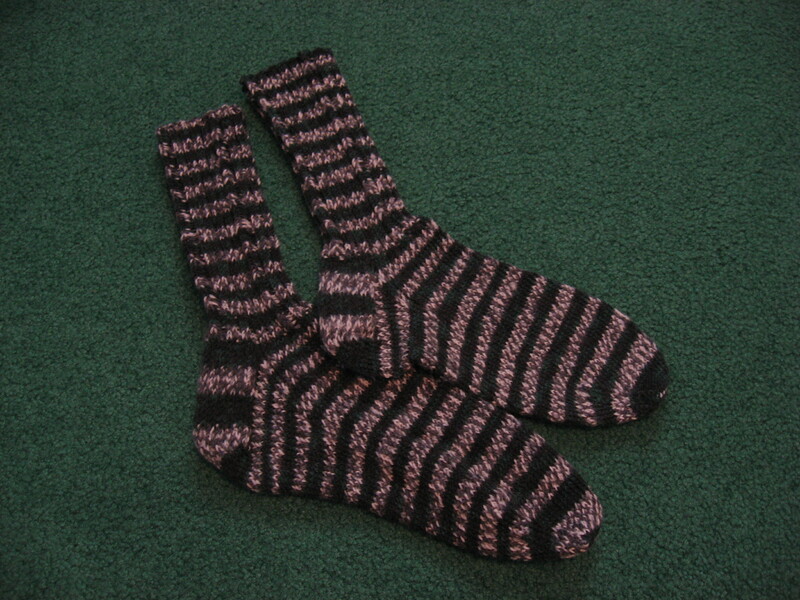 In December, I finished knitting my second pair of socks ever and baked a chocolate tart for Christmas Eve dinner. And I read a lot of books! What could be better? I have high hopes for 2014. Sparkers will come out in the fall. I can’t even really imagine what that’s going to be like, so I’m not going to try. Happy New Year!